FX3U-32BL CR2450HR-flex Mitsubishi PLC Controller Lithium Battery. Replaces: Battery F3-32BL, Battery FX3U-32BL CR2450HR-flex Mitsubishi Series PLC batteries and more. This FX3U-32BL Lithium PLC controller battery fits several Mitsubishi PLC controllers. 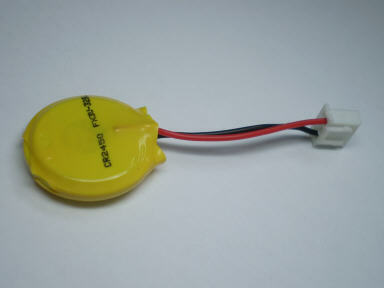 It is a DIRECT replacement for the FX3U_32BL battery. This FX3U-32BL fits all base units of the MELSEC FX3U series. 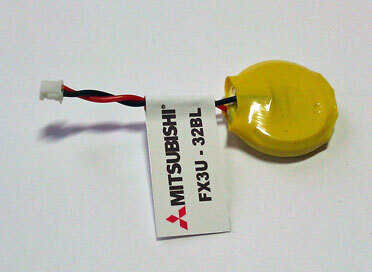 This Mitsubishi FX3U-32BL PLC battery comes with a one year manufacturer's warranty.